Product prices and availability are accurate as of 2019-04-15 09:32:53 UTC and are subject to change. Any price and availability information displayed on http://www.amazon.com/ at the time of purchase will apply to the purchase of this product. 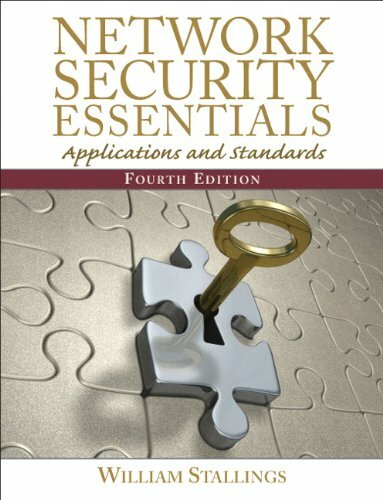 Wiliiam Stallings' Network Security: Applications and Standards, 4/e is a practical survey of network security applications and standards, with unmatched support for instructors and students. In this age of universal electronic connectivity, viruses and hackers, electronic eavesdropping, and electronic fraud, security is paramount. Network Security: Applications and Standards, 4/e provides a practical survey of network security applications and standards, with an emphasis on applications that are widely used on the Internet and for corporate networks. An unparalleled support package for instructors and students ensures a successful teaching and learning experience. Highlights include: expanded coverage of pseudorandom number generation; new coverage of federated identity, HTTPS, Secure Shell (SSH) and wireless network security; completely rewritten and updated coverage of IPsec; and a new chapter on legal and ethical issues.